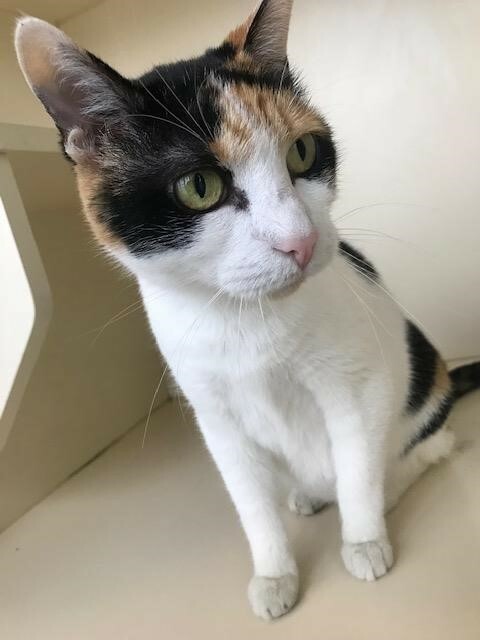 Patches is a beautiful calico cat. She is 7 years old. 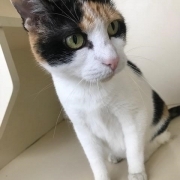 This sweet girl is back to good health and is looking for her fur-ever home. Patches loves cuddling and snuggling under the blankets. When she tires of that she would love to run around and play with toys and catnip.